Happy Tuesday! I hope your week is off to a great start! 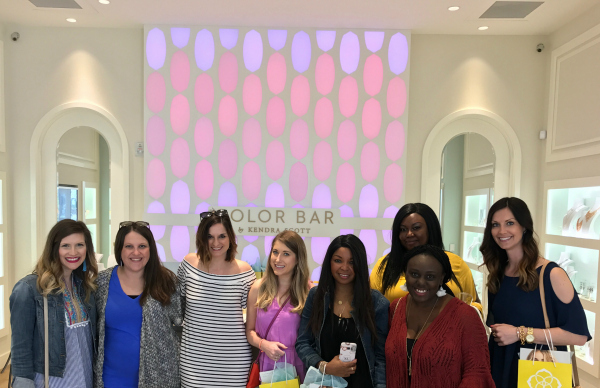 This past Saturday, I was invited to a host a Color Bar Party at the new Kendra Scott store at North Hills in Raleigh! 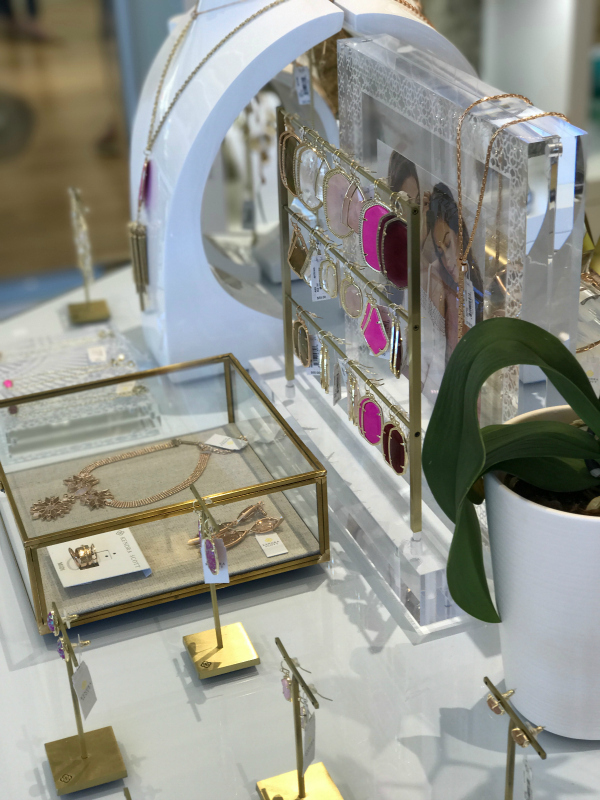 This new store is absolutely gorgeous and shows off the pretty jewels so well. 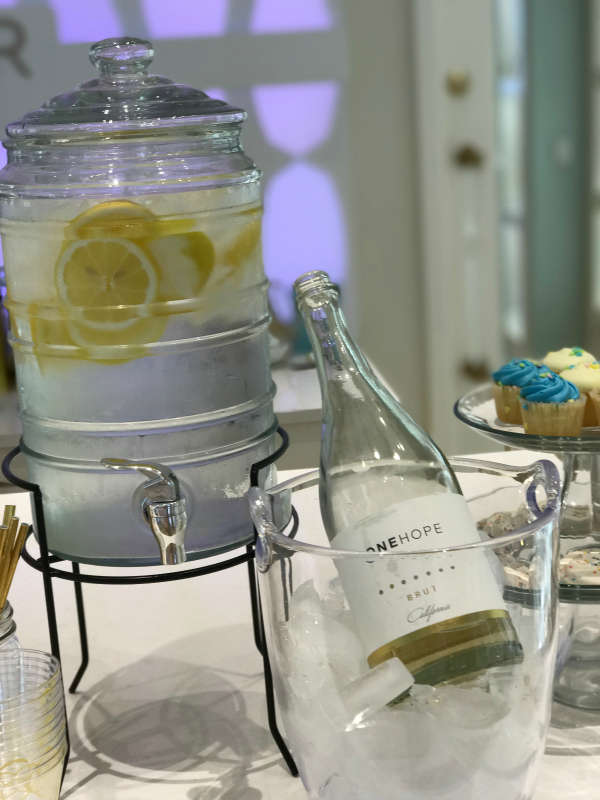 I was able to invite other friends and bloggers to join me for this fun event. 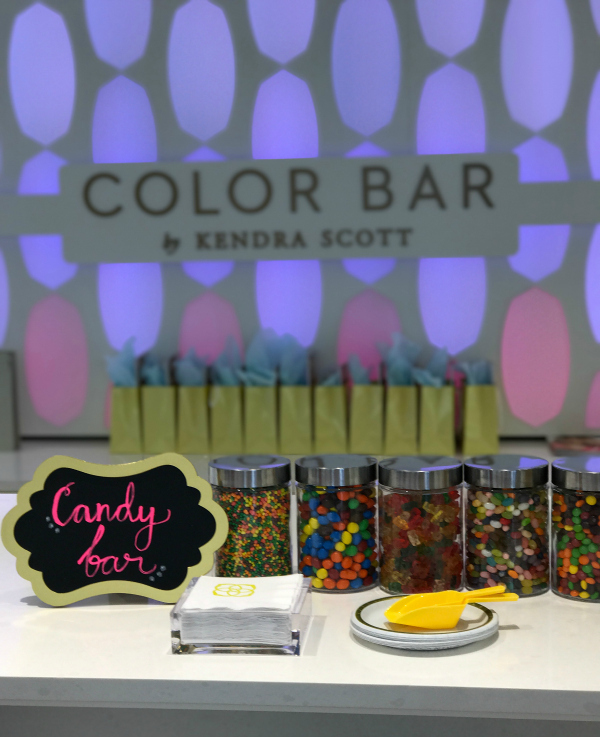 Kendra Scott is my absolute favorite jewelry brand so I was excited to host a Color Bar Party! 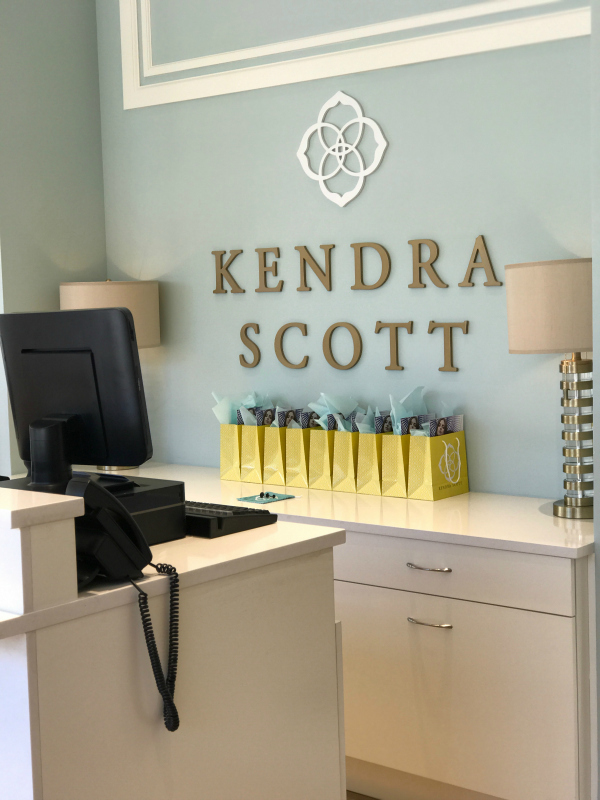 I have owned some of my Kendra Scott jewels for over three years and they look just as good as they day I bought them. 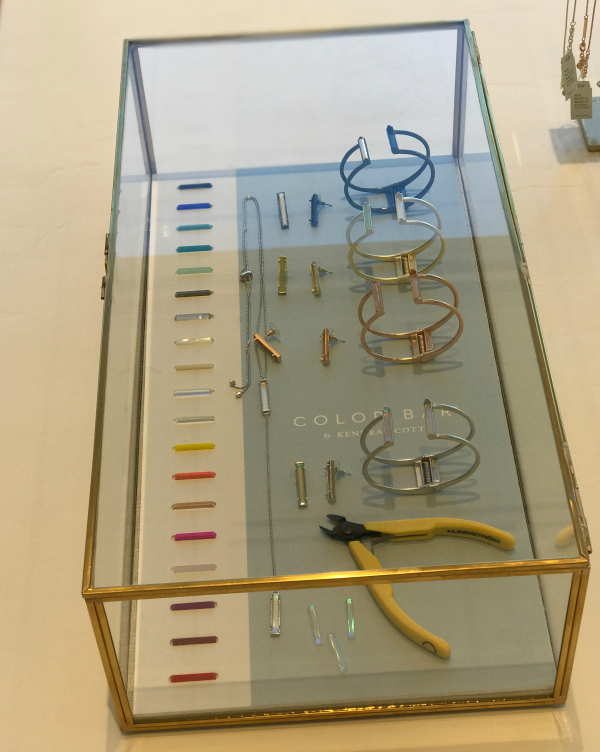 Such high quality jewelry! 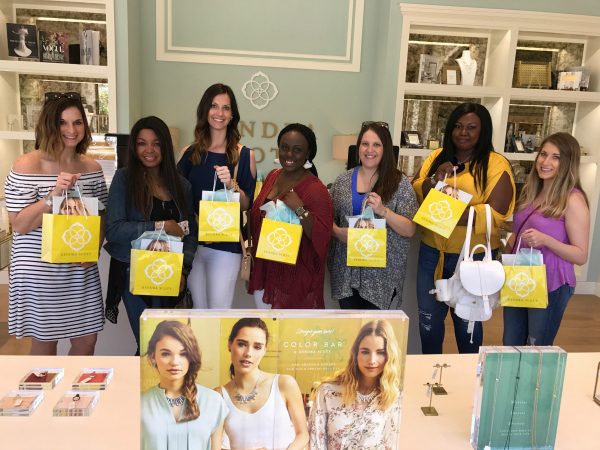 We sipped on drinks and enjoyed sweets while designing our very own custom Kendra Scott pieces! You choose the category, style, metal, and stone. The amazing staff puts your piece together right in front of you! I had the hardest time deciding what I wanted. All I knew was that I wanted the rose quartz stone because I am loving all thinks blush pink right now! You can see exactly what I picked at the bottom of this post. 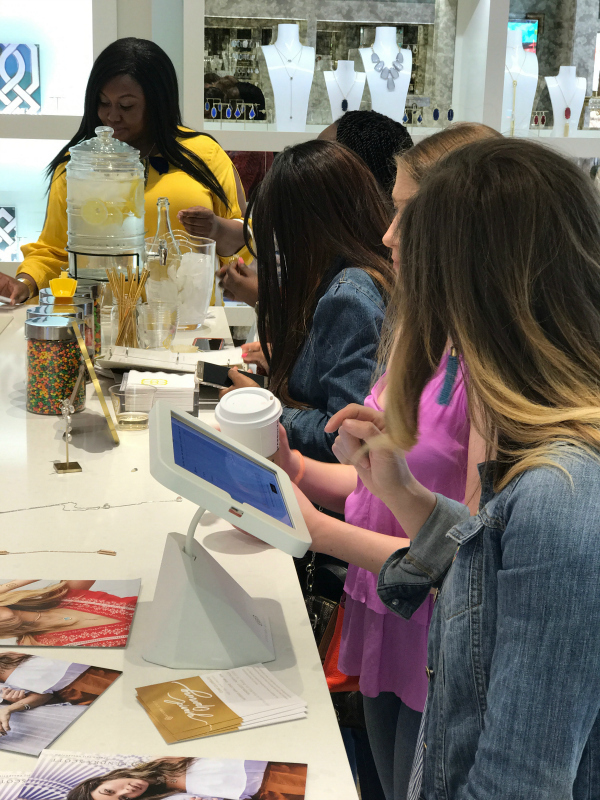 If you are interested in designing your own Color Bar piece you can either do it at your closest Kendra Scott store or you can also complete the whole process online here! 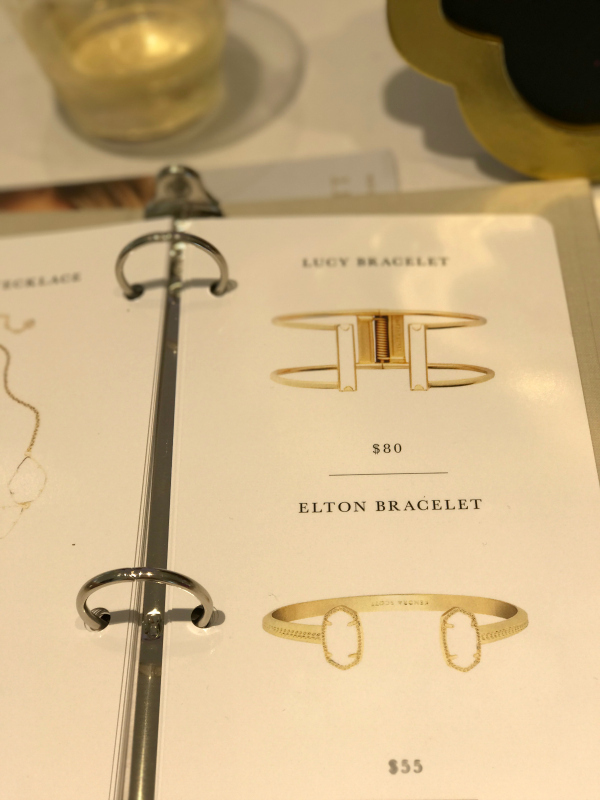 I loved being able to design my own jewelry and it's even more fun with friends! I hope you all have a wonderful day! Thanks so much stopping by! That is so much fun! How cool that you and Azanique are so close by to one another. Also, I agree, I think Kendra jewelry is such high quality, they last forever! Those jewelries are so pretty! Gah! I love the color bar! such a great idea for a girl party!